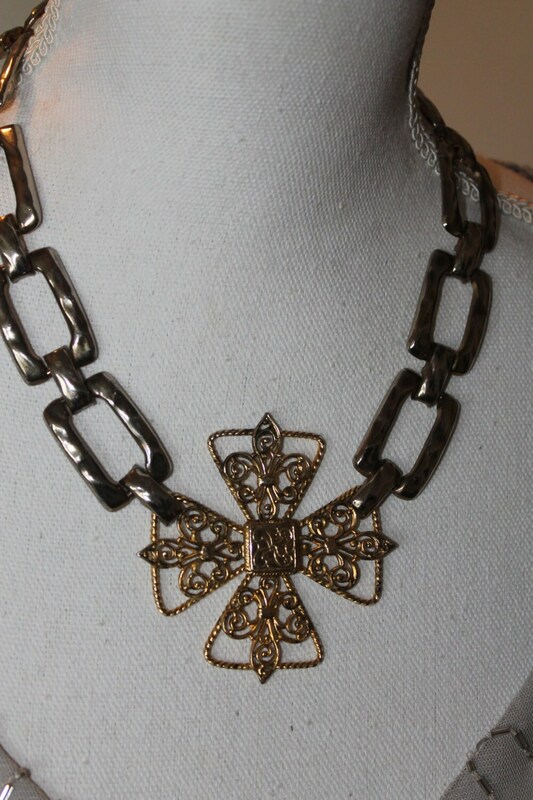 Vintage Gold Cross Pendant assemblage necklace features a vintage golden metal Cross Pendant as the focal point . 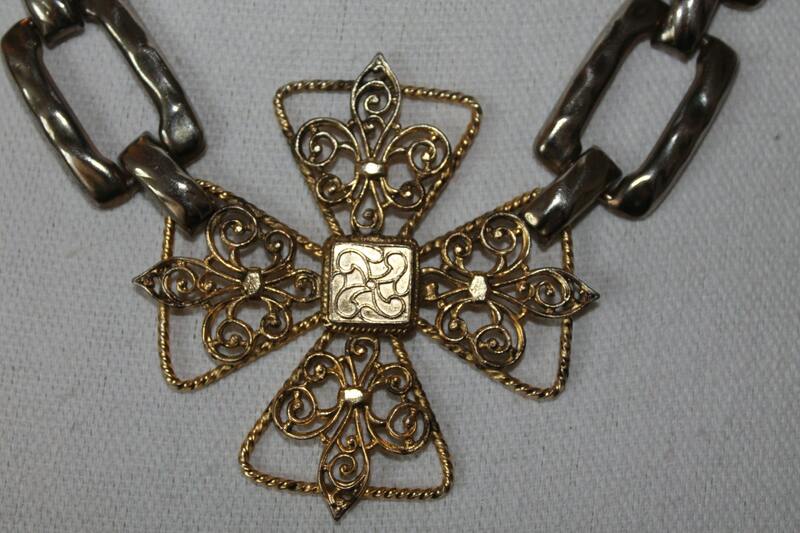 The pendant used to be a brooch, but the back was brocken, it measures 21/2" across.I attached the cross to the large link necklace. 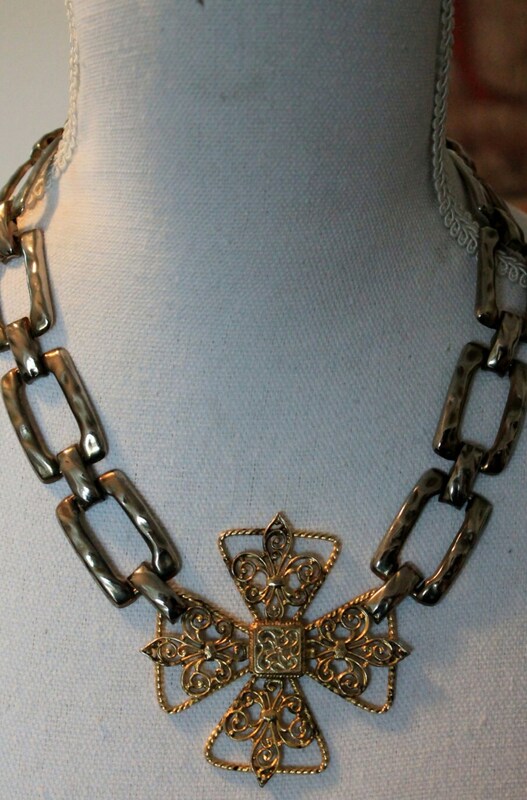 The necklace has very regal and rich look. I've been giving the new life to the old pieces for a long time. Treating my friends and family with my own hand-made designs has always been a great pleasure of mine. They convinced me to include my assemblage creations into my shop inventory. My philosophy " Don't fix it if it is not broken." 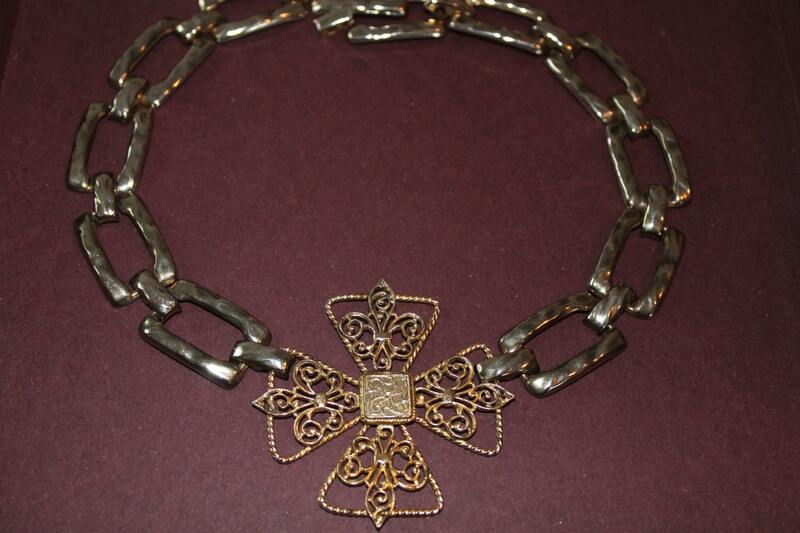 I also believe in treating the vintage jewelry with dignity and respect, these pieces have been through a lot , some of them are older than me , so who am I here to take it apart or break into the pieces? 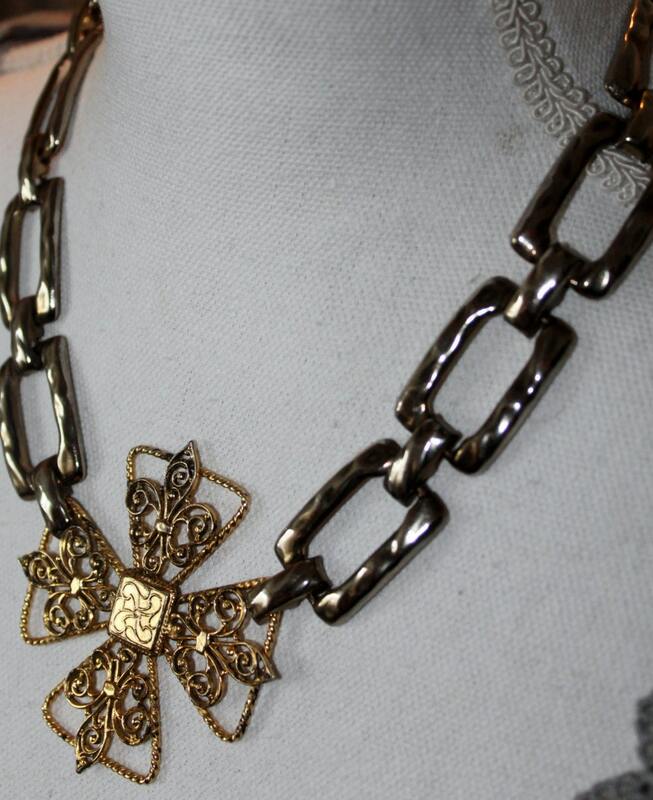 If you buy one of my creations you can be sure no vintage functional jewelry was harmed to build a new piece.